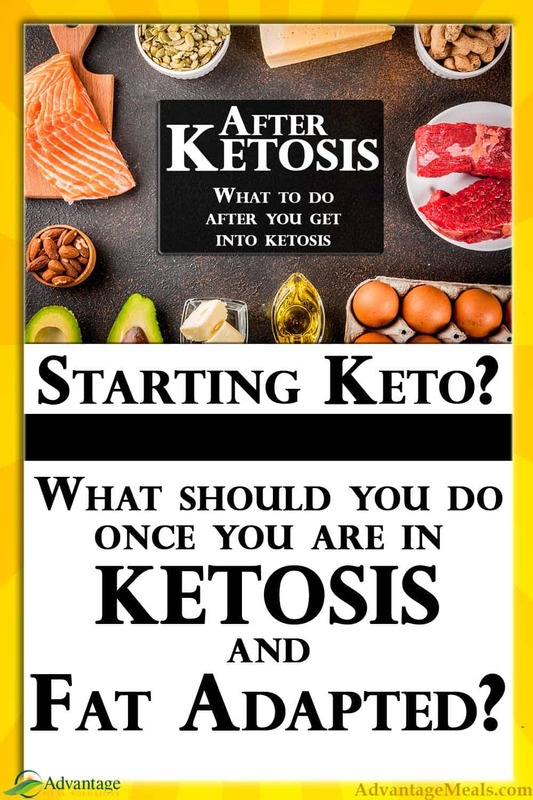 Starting a Keto Diet is all about getting into Ketosis. Here at Advantage Meals, we believe that for most people, it takes 3 weeks to get into ketosis and adjusted to a keto diet. 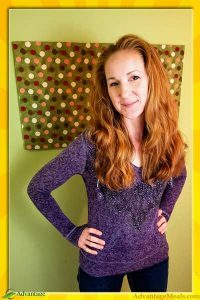 But what should you do after you’ve successfully started your Keto Diet to accelerate weight loss and improve your health? Now let’s work into the details of each of these ‘after starting keto’ steps. Starting a Keto Diet can be challenging. As keto beginners, most of us took some food shortcuts to make it easier. Perhaps you chose to eat the same thing a lot. Maybe you ate some less than ideal foods. Commonly known as Dirty Keto, these choices might have met your keto macros but their overly processed or artificial ingredients aren’t doing your body any favors. Or maybe you just ate stuff you didn’t really like because you didn’t know what else to eat. 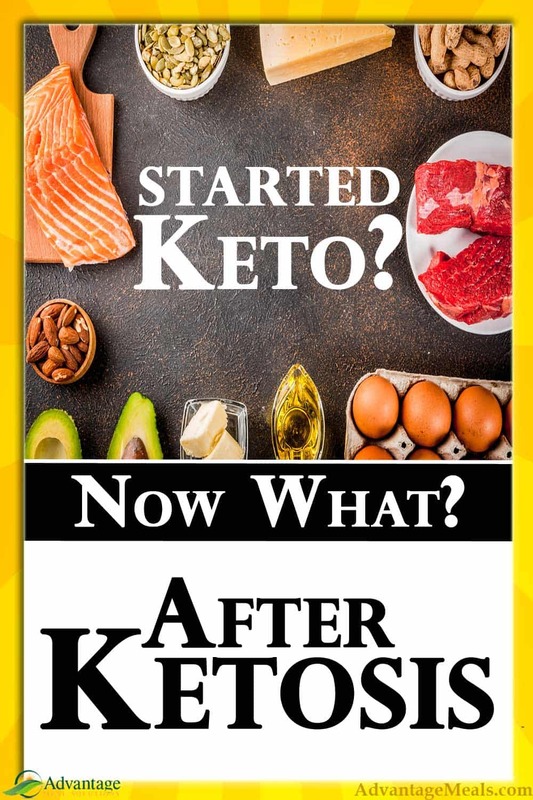 Now may be the time to upgrade your Keto foods. Choose real and whole foods. Start eliminating processed foods. As a general rule, if it has ingredients and you don’t know what they are, you might not want to eat it. Look for organic options, especially for dairy products and vegetables on the Dirty Dozen List. Look for better quality meats. Local, grass-fed, natural meat and wild-caught seafood make Keto better. These choices are more nutritious and you will often be satisfied with smaller portions because your body recognizes that it is nourished. 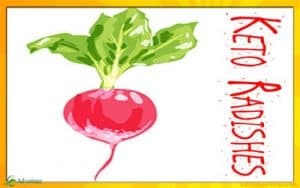 Start avoiding industrially processed seed oils which are over processed and inflammatory. Often when people first start a keto way of eating, the high fat intake leads to an increase in consumption of these dangerous oils. Chronic inflammation is also caused by these damaged fats, and you’ll feel better and be more successful if you avoid them. Look at labels and avoid highly processed oils including: canola oil, soybean oil, corn oil, vegetable oil, peanut oil, cottonseed oil, sunflower oil, and hydrogenated fats of any kind. Eliminate artificial sweeteners. Brand names like Splenda, NutraSweet, Equal, and Sweet ‘n’ Low are all made with artificial sweeteners. Ingredients like sucralose, saccharin, and aspartame are the most common artificial sweeteners. If you need to sweeten something, look to more natural options like stevia, erythritol, xylitol, monk fruit extract, and inulin. Add bone broth. Either homemade bone broth or quality commercial bone broth. Drink it for a warm, comforting beverage. Make soups and sauces. Simmer vegetables in it. Braise meats with it. Your skin, hair, joints and gut with thank you. You can also stir collagen powder into drinks and smoothies to get some of the same benefits. Our favorite which we use daily in our morning coffee is Great Lakes Collagen Hydrolysate. Start eating real fermented foods for better gut health. You can make them yourself at home or there are more and more commercially available. Look in the refrigerator in the natural health section of your grocery store. Try new foods! If you’ve been eating the same things over and over, you may want to branch out. You can keep eating those things that you’re comfortable with and you know work for you. 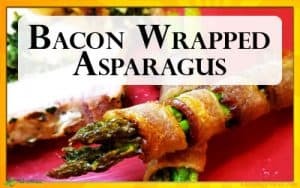 But you can also start experimenting with new low-carb vegetables. Or a type of meat you didn’t think you liked but haven’t actually had in a long time. Or a new kind of cheese you’ve never tried. The next time you’re at the grocery store, pick up something that you’ve never had before. 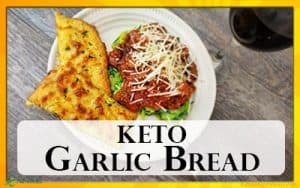 Google for a keto-friendly recipe. Just try it! You may find something new to love. And the variety in your diet will help improve your health. To a certain extent, the conventional wisdom of ‘calories in/calories out’ is not entirely wrong. While a ketogenic diet retrains your body to burn fat as fuel, how much you eat is important. 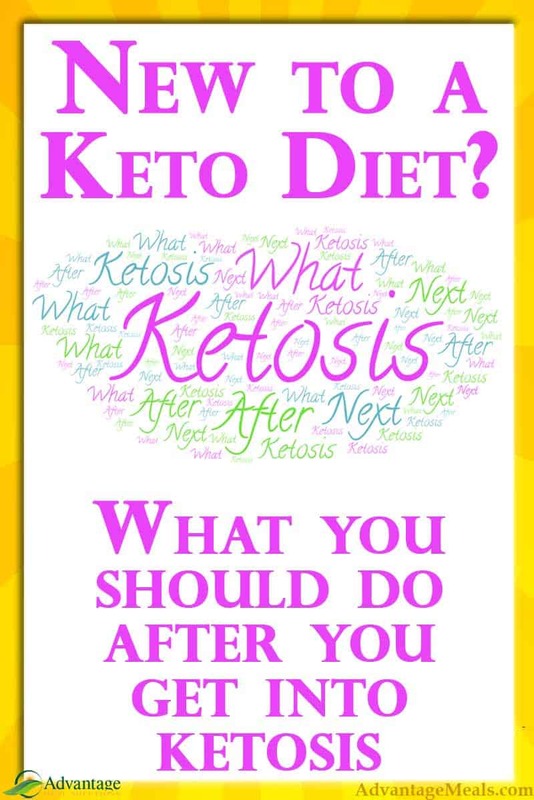 Just being in ketosis isn’t what causes weight loss but it does make it easier to comfortably lower your food intake. When fuel isn’t available from food, your body turns to your stored fat and burns it. 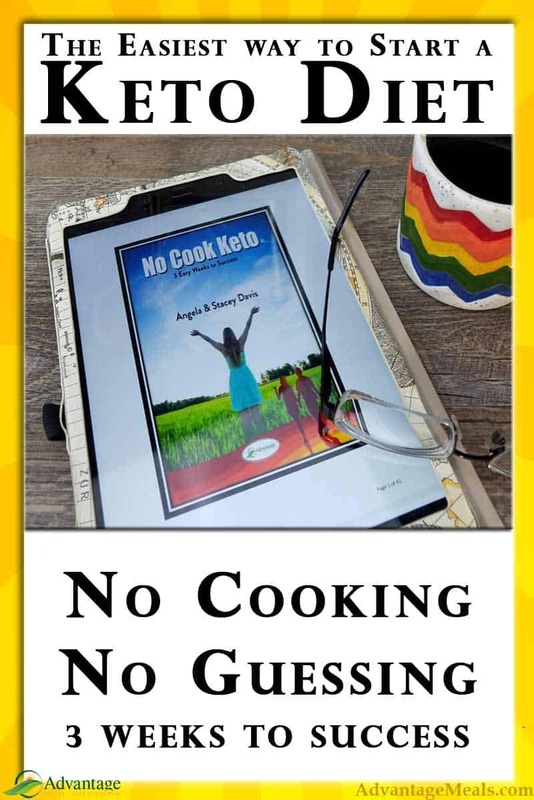 Intermittent Fasting is a method where you choose to reduce your eating window (the hours during which you eat each day) and a Keto Diet will, in time, make this effortless. In addition to just consuming fewer calories throughout your day, intermittent fasting gives your body time off from digesting food and allows it to focus on doing other important things, like repair. And burning the extra fat on your stomach and backside. Working toward intermittent fasting can be a game changer in reaching your goals. 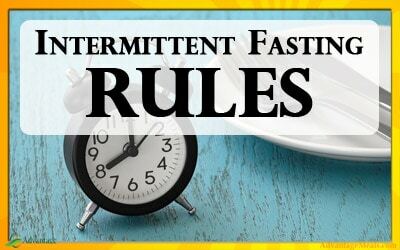 Make sure to read and follow the Top 11 Rules for Intermittent Fasting to help you get started. After over a decade of helping people try to reach their wellness goals, we know that the reason that most ‘diets’ fail is because people don’t have the right food available, at the right time, in the right place. Introducing a regular schedule of Keto Meal Prepping can change everything. Just a few hours on the weekend can assure that you have great keto food all week. We like to make a few different kinds of fat bombs and Fat Boosters, so that we always have easy access to good quality fat to include with our meals. 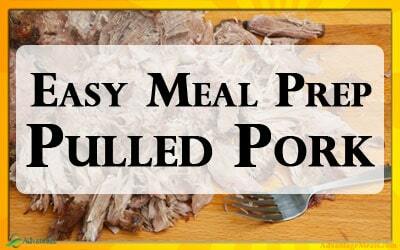 We also make a big batch of at least one protein source (Pulled Pork, Chicken Thighs, Baked Chicken Breast, Ground Beef) that can be easily dressed with any number of flavorful Fat Boosters. Some folks like to prepare and package their work week lunches on Sundays, to save time during the week. 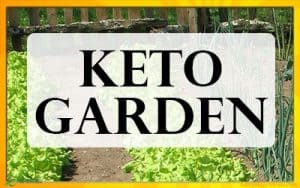 Whatever it is that you can do ahead that will save you time and make sure you have the food you need, when you need it, will go a long way to making your Keto way of eating sustainable for the rest of your life. While it’s not necessary to exercise to thrive on a Ketogenic Diet, it can accelerate your efforts. Burning a few more calories may help you lose a little more weight, but there are other benefits to exercise, too. Upgrading your exercise is a very personal thing and isn’t the same for any two people. Have you been pretty sedentary for years? Then start parking further away from the grocery store front door and walking. Enjoyed weekend walks for years? Then start pushing the pace of those walks. Go to the gym regularly? Then add some more cardio to your workout. Hit the weights. Do body-weight strength training. Try yoga. Take a dance class. The possibilities are endless. There is no one right way, but we can all upgrade our exercise and move our bodies more. I want to be very clear here: you need to be careful about when and how you start adding carbs into your routine if you are early in your ketogenic journey. We generally do NOT recommend you introduce Carb Cycling to your keto diet as a regular practice until you’ve been keto for at least 8 weeks. By 8 weeks, you will most likely be fully fat AND ketone adapted. 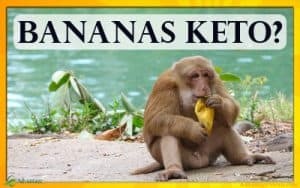 You’ll be efficiently making and using ketones and your body will be very comfortable with fat as a fuel source. A good sign that this is happening for you is being able to skip a meal without being very uncomfortable. Once that is the case, you can look at how Carb Cycling might fit into your life. Your body can burn both carbs and fat as fuel. Ideally, you’ll want to be able to use either as your primary source of fuel. This is commonly referred to as metabolic flexibility and is a sign of a healthy body. To be able to move efficiently back and forth between using carbs and fat as fuel, your body needs practice. We call that practice “Carb Cycling”. That means that once in awhile, you’ll chose to get out of ketosis by eating carbs. When that happens, your body will switch to burning those extra carbs and/or restocking your muscle and liver glycogen. 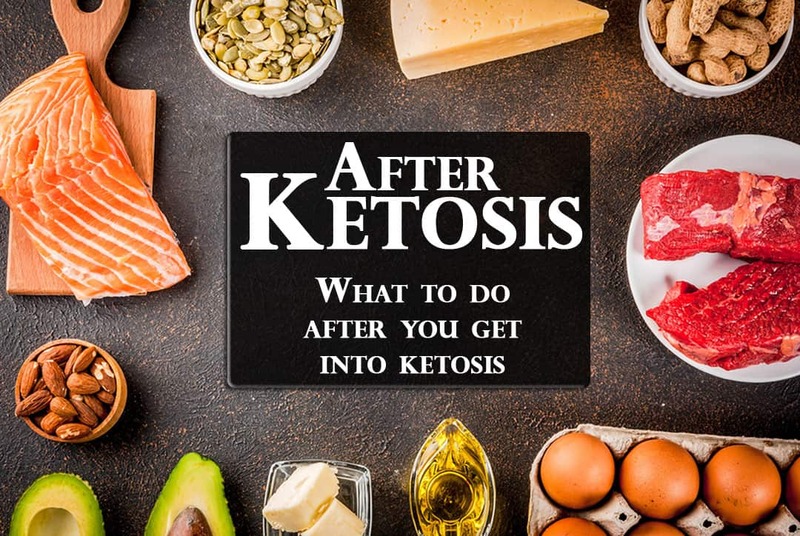 Then when you go back into keto, your body will transition back into Ketosis. For some people, including a regular carb cycle is a benefit for weight loss. For others, it’s a slippery slope back into a world that is most often dominated by carbs. Choose carefully and listen to your body. You may find that once a week works for you. Or that may be too much and once a month is better. 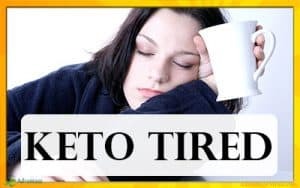 Over time, your body will get more and more efficient at moving back and forth between fuel sources, and you’ll comfortably eat Keto without even thinking about it. When the opportunity for a high carb dish or meal comes along, you’ll be able to enjoy it, your body will use the fuel, and then you’ll easily move back to Keto. The more often that transition happens, the easier it becomes both physically and mentally. Practice makes perfect, and it makes your life better. #6 Eating Great for Life! Keto may be popular in the media right now, but it is so much more than a fad diet. Many people are drawn to it for the weight loss but they stay for the multitude of other benefits they discover in this wonderful way of eating! Satisfying, flavorful foods. Freedom from cravings. Less joint pain. Increased energy and focus. Mental health. Brain health. Gut health. More and more research is being conducted connecting Keto with improvement in and maybe even prevention of Alzheimer’s, Parkinson’s, diabetes, and even cancer. And you get to choose this for the rest of your life. Eating Keto isn’t a diet, it’s a way of life. And a great one, at that. Being Keto isn’t being on a diet for the rest of your life. It’s eating great for the rest of your life. When you upgrade your keto diet, you are upgrading your life. 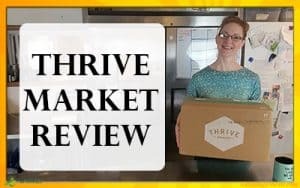 Eat like royalty and thrive!